Oral Roberts was born in 1918, the fifth son of a minister in the Pentecostal Holiness church in Pontotoc County, Oklahoma. His childhood was more balanced than many other healing evangelists although he was reared in abject poverty. At seventeen years of age he was diagnosed with tuberculosis and was bedridden for more than five months. He was totally healed of this and his stuttering in July 1935 at a tent revival conducted by evangelist George W. Moncey in Ada, Oklahoma. For two years he was an apprentice under his father in evangelistic work. He was ordained by the Pentecostal Holiness church in 1936, and quickly became one of the outstanding young ministers in the denomination. Between 1941 and 1947 he served four different pastorates in small Pentecostal Holiness churches. In 1947 he fasted and prayed intensively for God to direct and anoint his ministry, as he launched his own independent evangelistic organization. Roberts conducted his first revival in May 1947, in Enid, Oklahoma and soon added healing to his evangelistic methods. He began his own magazine, Healing Waters, in November 1947 and reported his first major healing when he removed the braces from the legs of a young polio victim and reported that she was healed, in Muskogee, Oklahoma. The magazine advertised his first book, ‘If You Need Healing—Do These Things’ and also asked for prayer, volunteers and finances. In addition he began a radio ministry over five radio stations which rapidly caused him to rival William Branham as the leader of the revival. By 1951, the Healing Waters Office was constructed in Tulsa and in August 1954, the organization moved into a new three-story building that soon proved inadequate. In January 1948, he ordered a "tent cathedral" to seat 2,000. Gordon Lindsay wrote in The Voice of Healing, "Brother Roberts has provided himself with perhaps the greatest and most complete equipment ever used by an American evangelist in gospel work." (Harrell, All Things Are Possible, p44) In the summer of 1950 the tent was destroyed by a storm and early in 1951 a new tent seating 7,500 was used but the success of his ministry required a tent seating 12,500 two years later. This was the largest portable tent ever used to promote the gospel. By the end of 1948, Roberts calculated that in ten revivals he "prayed for 50,000 sick" and had 7,000 "saved." In one 1950 campaign in Columbia, South Carolina, there were 13,500 "altar calls." In eleven tent campaigns in 1952, reportedly attended by 1,500,000 people, the organization recorded 66,ooo people prayed for in the healing lines and 38,457 conversions. His administrative and management skills soon produced an organization and a revival team which helped his sustained success and continuance. During the spring and summer of 1948, Roberts' office staff answered 25,000 letters, mailed 30,000 anointed handkerchiefs, distributed 15,000 books, and dispensed 90,000 copies of his magazine. By October, the office staff had grown to seven. Each year the ministry reported impressive growth. In 1952, Healing Waters, Incorporated received 280,355 letters and mailed out 140,177 prayer cloths. The circulation of the monthly magazine grew from 115,000 in 1951 to 175,000 in 1952 and 265,000 in 1953. In January 1954, he began broadcasting over nine television stations regardless of the immense costs. Skilful appeals to subscribers of Healing Waters paid for the shortfall and by mid-1955, his program was being aired weekly on 91 domestic and two foreign television stations. Three years later his network had grown to 136 stations. In 1948 he was chosen to deliver the closing address at the North American Pentecostal Fellowship meeting. By 1949, he was recognized as a giant in the Pentecostal world and within ten years he was an international celebrity. Roberts always had a respectful relationship with William Branham, Gordon Lindsay and others in the Voice of Healing movement, though he never had an official role within the association. He became wary of some characteristics of less gifted and less responsible healing evangelists and gradually withdrew from their circles, though he never publically criticised them. Of all the deliverance evangelists, Roberts was the most favoured by Pentecostal pastors. He belong to the Pentecostal Holiness church and was always supported by the larger Pentecostal denominations. Local pastors respected the fact that Roberts understood their needs. 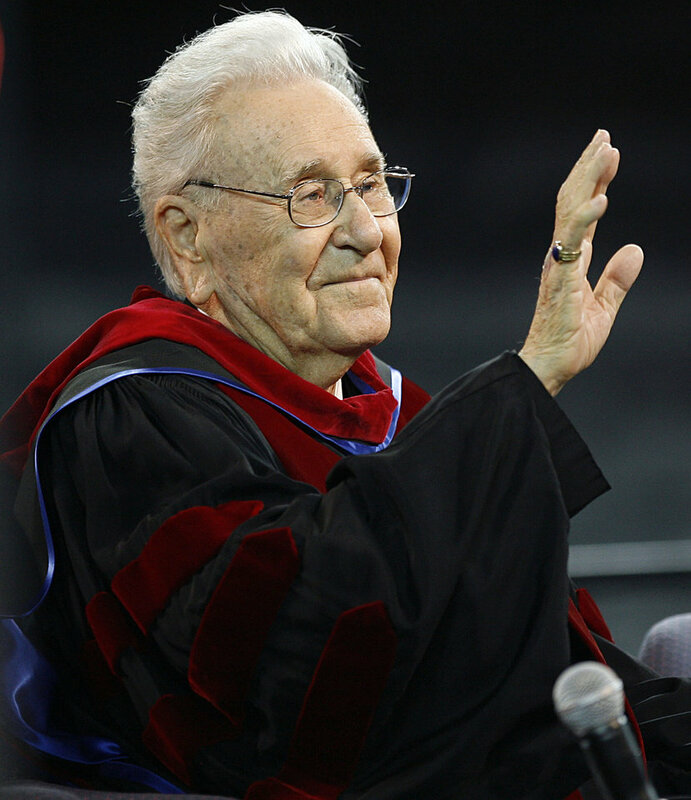 Lee Braxton wrote in 1951: ‘Oral Roberts recognizes good in all denominations, and is a strong believer in Church Organizations, but feels that he is called to bring Bible Deliverance to all people of all Faiths. People from almost all denominations attend the Roberts Campaigns, subscribe to Healing Waters Magazine, and support the Radio Broadcast’. Roberts' work became more ecumenical with time. During a 1957 campaign in Raleigh, North Carolina, he listed among the churches represented in his audiences: Assemblies of God, Roman Catholic, Baptist, African Methodist Episcopal, Christian Science, Church of God, Episcopal, Free Will Holiness, Lutheran, Greek Orthodox, Missionary Alliance, Methodist, Glad Tiding Tabernacle, Presbyterian, Missionary Baptist, Pentecostal Holiness, and United Brethren. Always maintaining financial integrity and transparency he won the hearts of pastors and people alike, assuring them that finances were only an necessary part of the proclamation of the deliverance message. Local committees and pubic audiences were wisely informed of income and expenditure to avoid any misunderstanding or criticism. In 1949, Roberts held a businessmen's luncheon during his campaign in Tacoma, Washington and thereafter there was formed the Full Gospel Business Men's Fellowship International, with Demos Shakarian as its founder. The FGBMFI remained one of Roberts' strongest supporters. Oral Roberts' initial success and his continuing appeal rested on the healing ministry that began in 1947. His early preaching strongly emphasized the miraculous. But his ministry was never one simply of healing. He was always a passionate and effective evangelist. As the 50’s passed evangelism came to be the dominant theme, though healing was still a priority which God continued to bless. He rapidly became the exemplary leader of a generation of dynamic revivalists who took the message of divine healing around the world in the 50’s. P. G Chappell sums it up so well: ‘His ecumenical crusades were instrumental in the revitalization of Pentecostalism in the post-World War II era. He was also influential in the formation of the Full Gospel Business Men's Fellowship International in 1951 as well as a leading figure in laying the foundation for the modern charismatic movement. Roberts' most significant impact upon American Christianity came in 1955 when he initiated a national weekly television program that took his healing crusades inside the homes of millions who had never been exposed to the healing message. Through this program the healing message was literally lifted from the Pentecostal subculture of American Christianity to its widest audience in history. By 1980 a Gallup Poll revealed that Roberts' name was recognized by a phenomenal 84 percent of the American public, and historian Vinson Synan observed that Roberts was considered the most prominent Pentecostal in the world. 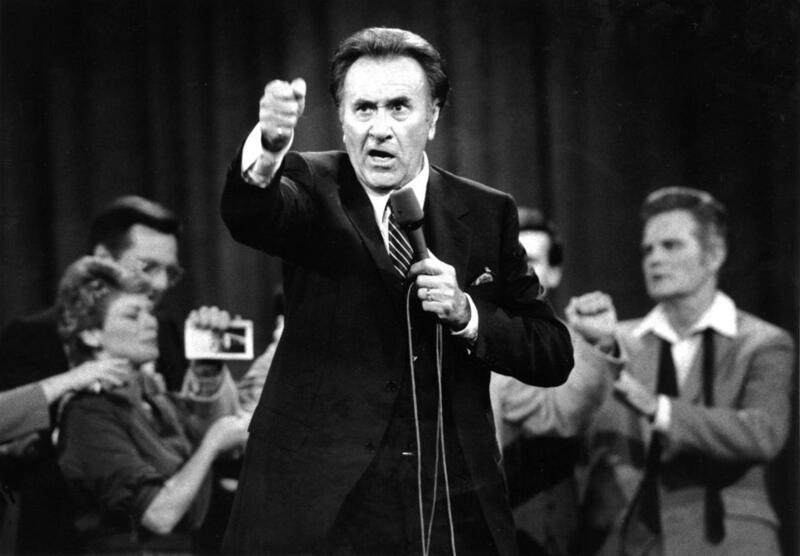 Oral Roberts (became) the best-known salvation-healing evangelist during the 1950s and 1960s. (Art: P. G Chappell, International Dictionary of Pentecostal and Charismatic Movements (2002). His monthly magazine, renamed Abundant Life in 1956, reached a circulation of over a million, while his devotional magazine, Daily Blessing, exceeded a quarter million subscribers and a monthly column was written for 674 newspapers. By the 1980s there were more than 15 million copies of his eighty-eight books in circulation, and his yearly mail from supporters exceeded five million letters. In 1966 he was invited to be a participant in Billy Graham's Berlin Congress on World Evangelism, transferred his religious affiliation to the United Methodist church in 1968, and began an ambitious television outreach in 1969 with prime-time religious variety shows. The success of the prime-time programming was remarkable, reaching as many as 64 million viewers. This led Edward Fiske, religious editor of the New York Times, to declare that Roberts commanded more personal loyalty in the 1970s than any minister in America. In 1965 Roberts opened a coeducational liberal arts college in Tulsa. Oral Roberts University became a major institution when seven graduate colleges were added between 1975 and 1978: Medicine, Nursing, Dentistry, Law, Business, Education, and Theology. 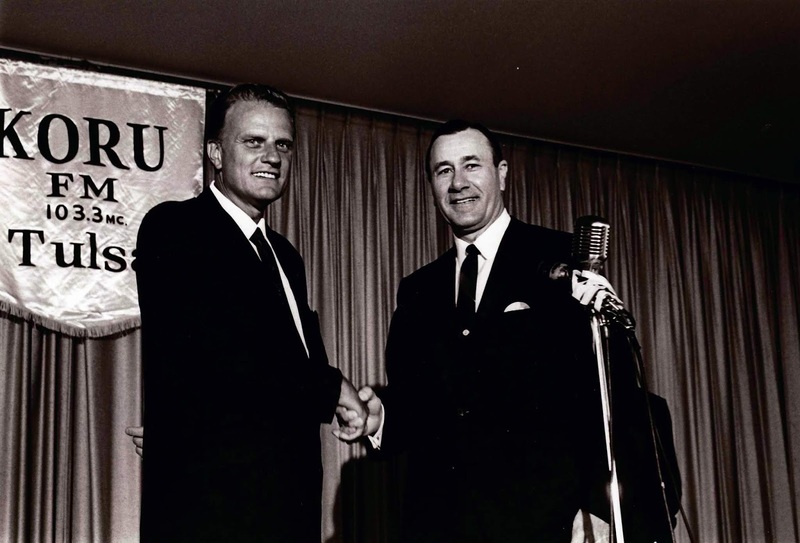 Dedicated in 1967 by Billy Graham, it is considered the premier charismatic university in America. Adjacent to the university Roberts established a 450-resident retirement centre in 1966. The apex of Roberts' ministry came with the opening in 1981 of the $250 million City of Faith Medical and Research Centre. The complex consists of a thirty-story hospital, sixty-story medical centre, and twenty-story research facility. The philosophy of the centre is to merge prayer and medicine, the supernatural and natural, in the treatment of the whole person. In conjunction with the medical school, doctors are being prepared to serve as medical missionaries around the world. Theologically Roberts is basically a classical Pentecostal, who maintains that speaking in tongues is normative for every believer. His trademark, however, has been essentially an upbeat message of hope. The whole thesis of his ministry has been that God is a good God and that He wills to heal and prosper His people (3 John 2). Bibliography: D. Harrell, Jr., All Things Are Possible (1975); Art: P. G Chappell, International Dictionary of Pentecostal and Charismatic Movements (2002).